It was a long wait for Yuphoria users for the Cyanogen OS 12.1 so it was only natural that they have to wait to get their hands on much awaited Android Marshmallow 6.0 based version of Cyanogen OS 13.0. Though an official release is still a long way away. 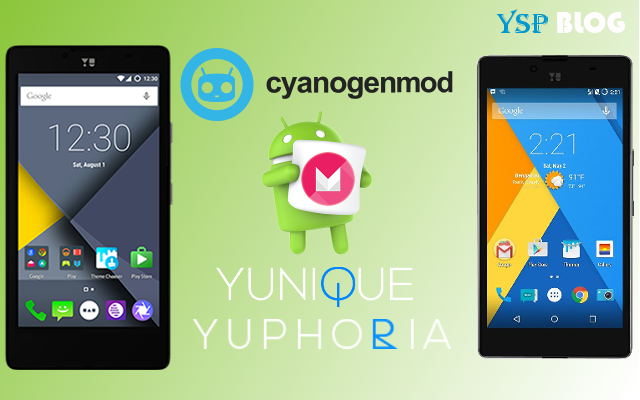 But Cyanogen team has released Nightlies for both YU Yunique (YU4711) and YU Yuphoria (YU5010). The ROM name for which is based on breakfast item namely 'jalebi' for Yunique and 'lettuce' for Yuphoria. YU Yuphoria users received Cyanogen OS 12.1 update in November while Yunique which was launched with Pure Android and was promised a Cyanogen based upgrade is yet to receive any sort of official Cyanogen OS based update. However nightlies were available for both CyanogenMod 12.1 as well as 13.0 on CyanogenMod repository. It is also worth noting that an unofficial version of CM 13.0 was already made available by community members. If and when a stable Cyanogen OS based update for Yunique is released it will be a first for the device. For Yuphoria users it comes as a surprise as the nightlies has been released only today and can be applied by users who feel comfortable tinkering their device with custom ROMs. For rest of the users they'll have to wait for OTA update for upgrading their device to latest version of Android. Fell free to leave a comment if you have any doubts or query related to this Nightlies update or anything else related to YU.